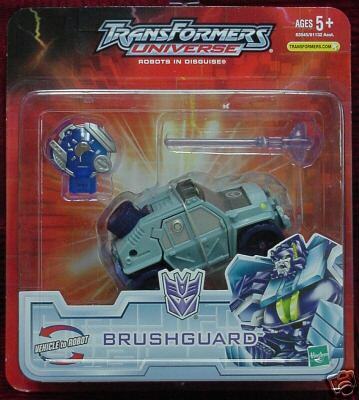 One of many scientists working for Megatron, Brushguard has dedicated his life to xenobotany - the study of alien plant life. 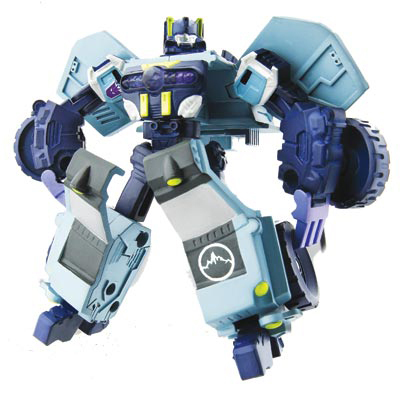 A firm believer in Decepticon supremacy, he hopes to find unique toxins in Earth plants for use against the Autobots and their human allies. 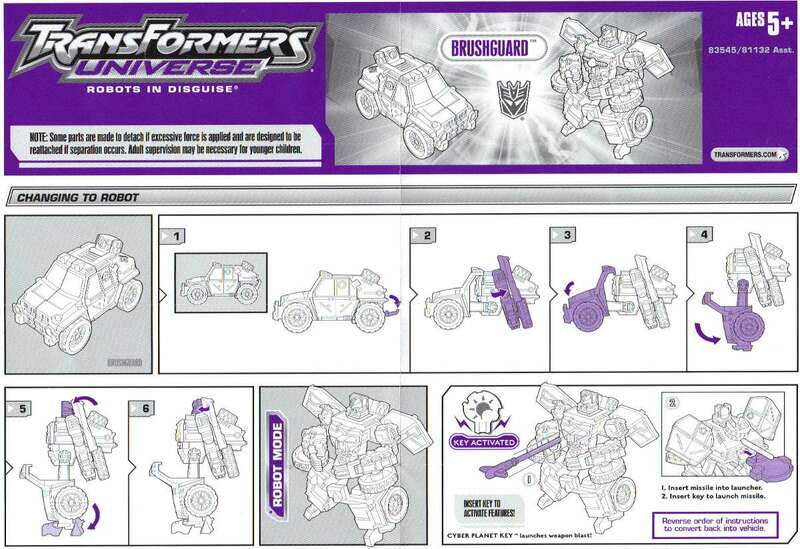 Though he dislikes violence, he has been retrofitted to fire short-range bursts of superheated acid from his chest. 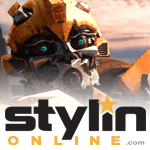 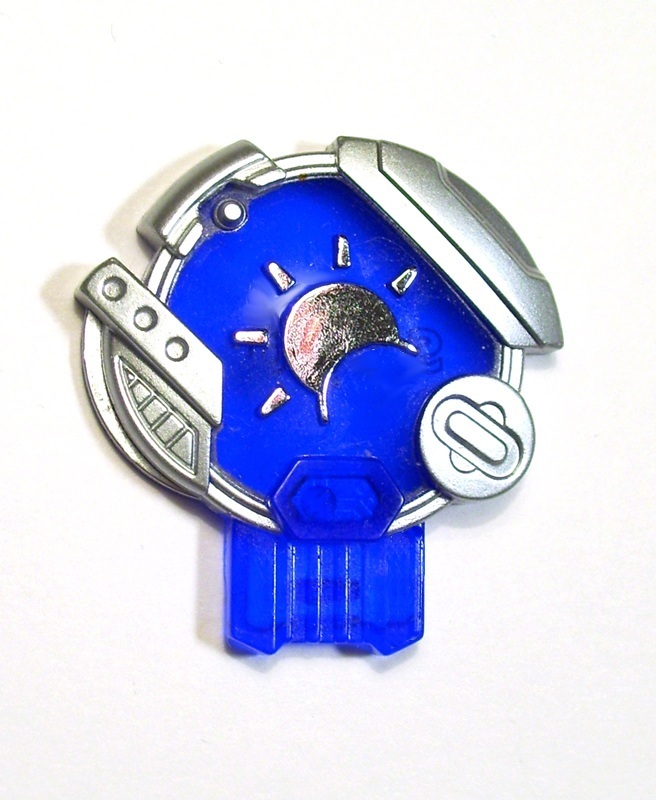 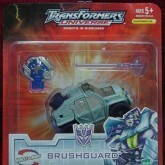 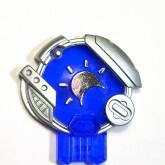 The symbol used on Brushguard (the mountain range inside a circle) was previously used on Energon Landquake. 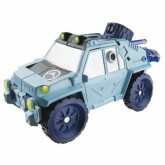 Repack of the Transformers Cybertron toy without any changes.